In 2015, my wife and I packed up our apartment on the Upper West Side of Manhattan, put our three-month-old daughter into our newly purchased Volvo, and drove out of New York City for what I thought was the last time. After nearly a decade of fast-paced and expensive fun in San Francisco, New York City, and Portland, we were ready for a slower pace of life and a lower cost of living. To be more accurate, I was ready for those things. Alexis is always up for an adventure, so she was onboard with the move, but she didn’t feel the burning desire to escape NYC the way that I did. And to be clear, I loved NYC. Granted, I also like my alone time. NYC is not the best place to find long periods of solitude, so I tried to get out of the city for a few days every month or two. But overall, I loved NYC. But we had been talking about leaving the city for more than a year, driven mostly by my ongoing frustration with the price tag of NYC living. My business was booming, but that also meant higher taxes. And now we had a kid, which was sure to drive our spending even higher over the next two decades. And not only that, we were looking to settle down. In 11 years of marriage, we had lived in eight apartments in five cities on two continents. Other than a run-down rental property we had bought and lived in for 18 months, we had never owned our own home. And given the brutally high prices and crushing downpayment requirements, that wasn’t going to be an option anytime soon in NYC. Our list of criteria for where to settle down was long and ever-shifting. 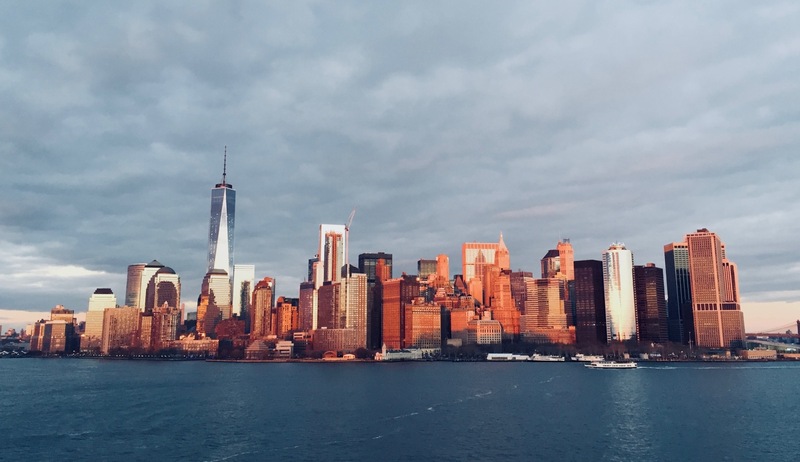 We weren’t trying to recreate NYC elsewhere, which isn’t possible, but we also didn’t want to leave behind some of the advantages that NYC offers its residents. In addition to the areas immediately surrounding NYC, we looked with various degrees of seriousness at Portland, Austin, Boulder, Nashville, Raleigh, Minneapolis, Miami, Ashville, Chicago, and more. In the end, we went for Nashville. We knew some folks there already, the cost of living was low (at least compared with NYC), the city was booming, weather was mild, no state taxes, good food, friendly people, etc. So we packed everything up and off we went. I remember the day we left NYC and thinking that in the unlikely event that we ever moved back someday in the far future, at least we would have already done it once so we’d know what to expect and how to navigate everything. Well, spoiler: In the end, we almost made it 3 years in Nashville before we moved back to NYC in the early part of 2018. We’re back on the Upper West Side again and I couldn’t be happier. Unless it’s to move internationally, I doubt we’ll leave NYC again (but I clearly can’t be trusted on this). Now, don’t get me wrong, Nashville is a great city. I’d say it’s one of the best up-and-coming cities in America. Almost all the good things about Nashville that led us there are true. But a city on paper or a city you visit is different from a city that you live in over a longer period of time, and Nashville is no different. So here’s why Nashville wasn’t quite the fit for us that we had hoped it would be. Before I go through this, I want to acknowledge that all of these are based on our own impressions, that we have dear friends in Nashville, and that some people may disagree with this list, or even find it offensive. That’s not my intention at all, and I hope you’ll give me the benefit of the doubt as you read. By far the best thing about Nashville is the people who live there. The South is a hellscape during the summer. The heat and humidity is not my idea of a good time. To be fair, NYC’s summers and winters can be pretty miserable too, but I actually like having 4 proper seasons. Tennessee is right on the edge of still having four seasons, but in practice summer lasts about six months, most of it not fun. The cost of living isn’t as low as you’d think, and it’s rapidly getting worse. We almost bought a house several times while we were living there, some of the smallest in our neighborhood, and they were still more space than we wanted or needed, and cost $500k to $700k. We spend more on our household budget now to live in NYC than we did in Nashville, but it’s like 20-30% higher, not 100% higher. You have to drive everywhere. The little walkable strips like 12 South in Nashville are quaint and boring if you come from a large city. And they’re completely slammed with people all the time now, despite the fact that there’s only about 15-20 combined coffee shops, restaurants, and retail shops in a quarter-mile strip. Making things worse, a very large portion of the city doesn’t even have sidewalks if you wanted to walk, not to mention the huge cars whizzing by at 30mph a few feet from you. Very unpleasant. And going back to the cost-of-living item above, we had two cars in Nashville, with all the related costs, versus zero in NYC. Nashville is not ready for the growth they’re currently experiencing. The traffic is horrible, everything is getting way too crowded, there’s no public transportation (and they voted down even doing a rapid bus transit plan, so I don’t see it happening anytime soon). Housing isn’t being built fast enough and so prices are shooting up. Amazon is going to make it all much worse. This might seem dumb, but the airport is a mixed bag, especially if you travel internationally. It was amazing to be able to leave our house and get to the gate in 25 minutes (seriously), but there are basically zero international flights and a lot fewer options to many parts of the country than I’d like. I love living next to three airports with tons of flights, even if the airports are some of the worst in the US and hard to get to. I hate connections. That’s just me though. Being land-locked annoyed me more than I realized it would. I love the ocean. There’s not a lot to do in Nashville for us. I don’t like live music, craft beer, or anything “country” so that’s 90% of the activities out the window for me. There’s basically nothing within a 2 hour radius of Nashville, so day trips or weekend trips are either a lot of car time to get to Louisville, Memphis, Knoxville, or Huntsville (none of which have that much to offer that Nashville doesn’t, imo), or getting on a plane. Southern charm is a complex phenomenon. The people are nice, but it often felt polite but not genuinely warm. I always felt like an outsider. Maybe because I wasn’t from the South? Maybe a reflection of some of the skepticism of Nashville that I’m expressing in this post? It could have been my imagination, but I don’t think so. The South is still very Christian, in a way that’s hard to understand unless you’ve been there. It just permeates the ground you walk on somehow. Not that everyone is Christian, but a lot of people are. So people will ask you if / where you go to church, and my daughter’s non-religious preschool taught her a bunch of christian songs, etc. And it’s ironic because I was christian (my wife is even a minister), but I don’t love living around it like that. Especially since my views on the intersection of faith and politics have radically evolved over the last few years. This might be controversial: Nashville is fairly progressive for the South…but it’s still very much the South. And the 2016 election really brought this home for me. Nashville is a little blueish purple dot in a deep red state. If you drive 30 mins in any direction you’ll see plenty of Confederate flags, nasty bumper stickers, etc. And just like with Christianity in Nashville, not everyone in the South is racist, probably not even most people, but there’s still a level of comfort and shrugging about the deep roots of racism in the South that I found troubling. For example: there’s a huge mansion in Nashville called Belle Meade. It was formerly a plantation. They have weddings and other events there, at a plantation in the South where people were bought and sold and raped and murdered for decades. And no one thinks anything of it. To that community, it’s just a nice building. There are also a large number of streets and other things named after the big slave-holding families from Nashville’s history. I don’t think the South has ever fully reckoned with its past. Maybe that’s true for all of America, but in the South it feels a lot more tangible and casual, at least to me. I genuinely hope this post doesn’t offend anyone from Nashville or the South in general. Nowhere is perfect (I could list dozens of things I hate about NYC), and I’m sure my perspective is different than someone who grew up there. These are just my own impressions from a few years living there. NYC has ruined me for living anywhere else. I love living here and I’m willing to make the sacrifices necessary. It’s not perfect, but it’s home.